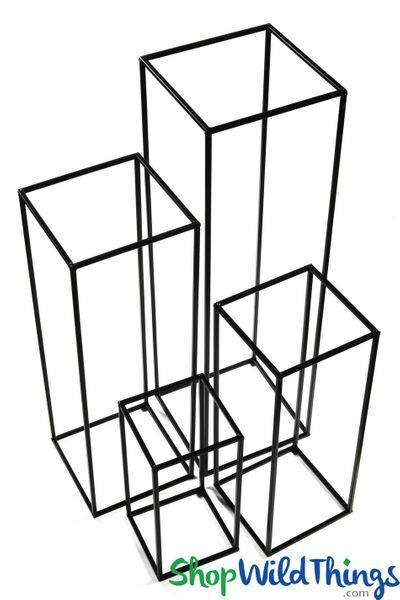 Sleek and sophisticated, our "Copenhagen" Floral and Centerpiece Black Metal Riser Set is so exciting with the countless display opportunities, sturdy yet lightweight design and an open framework that's clean and unobtrusive! You will receive 4 risers and these metal flower towers can be stacked, displayed horizontally or vertically. They measure 15 3/4"H x 7 3/4"W, 23 1/2"H x 9 1/2"W, 31 1/2"H x 10 1/2"W and 39 1/4"H x 11 1/2"W. Two wonderful features are that the open center allows your guests to see each other across the table and for storage, they all conveniently nest inside each other, taking up minimal space! Depending on your event and venue set up, use them individually or together, stack vertically, horizontally, a combo of both or crosswise. There truly are countless ways to display and use these versatile risers and the open frame means your display will be seen from any and all angles. 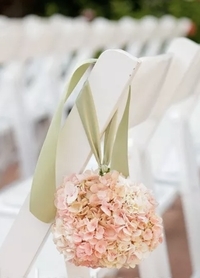 Easily add height to centerpiece and floor displays by placing floral arrangements on top and optionally add greenery, Flameless Candles or a 2nd floral grouping to the bottom. 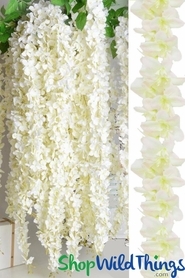 Wrap flower garlands around the frame to create a literal flower stand! The completely open framework of Copenhagen visually makes any display seem larger and the rectangular shape fits perfectly into corners. By sitting them diagonally on top of each other, you can vertically stack these risers and place a different arrangement on each base. Top with green topiary or Pomander Kissing Balls with dangling flower garlands. 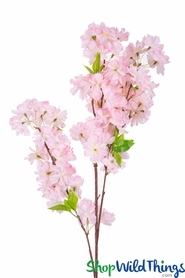 Use the shorter 2 risers as an open vase to display Long Stemmed Flowers or manzanita branches. For a lighted floor or table accent piece, wrap layers of tulle around the base, place an LED disc light in the center bottom and top with a floral arrangement, trays, platters or bowls. It really is amazing if you take a moment and start thinking of just how many ways these risers can be used and we know our incredibly clever customers are sure to create some pretty outstanding décor with Copenhagen!